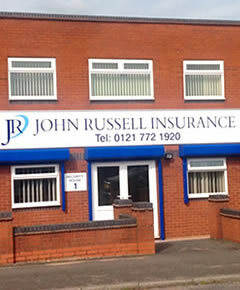 John Russell Insurance Services Limited is one of the leading Independent Insurance Brokers in the Midlands. Since being founded over 50 years ago by H J Russell from his home in Castle Bromwich in Birmingham, the company has grown and developed, becoming incorporated into its current status in October 1998. It has established a reputation for providing Commercial and Private Clients with a bespoke service and specialist advice on all aspects of insurance. The company appreciates that time is precious and so carries out the research of the insurance market for its prospective and existing clients. As independent insurance advisers John Russell Insurance Services Limited are not restricted to one insurer for most of the types of cover that they offer; they find the right deal for you. They will strive to understand all clients’ specific needs and provide appropriate solutions - comprising both advice on managing risks and insurance protection. John Russell Insurance Services Limited has a diverse group of people looking to assist you. We have individual Account Executives with over 40 years of Insurance Experience as well as a group of young, hungry Account Handlers eager to help. With many members of staff achieving industry recognised qualifications the knowledge and service offered by our team is our greatest asset.